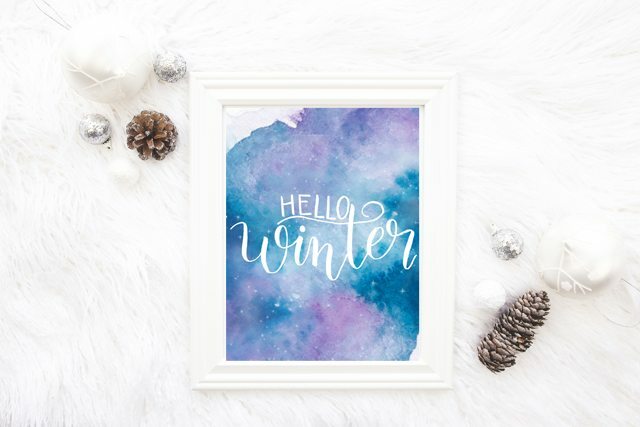 This hand lettered winter print is the perfect addition to your winter decor. Print, hang, and enjoy. Winter is on it’s way and it is getting down-right cold around here. And by cold, I mean a high of 40 degrees. My kids still want to wear crocs and t shirts to school. They just can’t let go of the warm weather. Me? I want to curl up under a blanket with a hot cup of coffee and watch Christmas movies all day. Winter is definitely not my favorite season. Maybe I would like it better if it got colder and actually snowed. Snow is pretty to look at. Cold air with no snow is just no good. 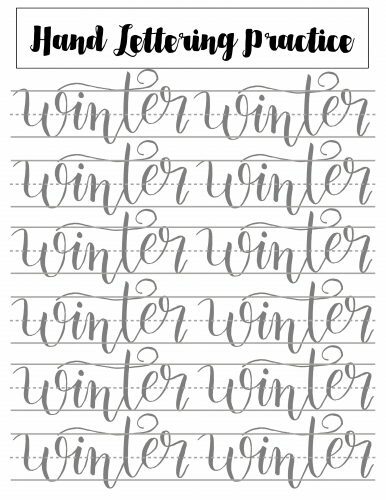 But until that snow comes (and let’s be honest…here in NC we rarely ever get snow), I’ll just enjoy this hand lettered winter print that I made. I offer it for sale in my Etsy shop but decided to offer it to you for free! 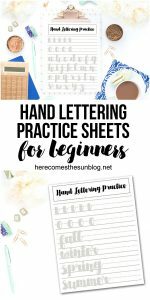 And I’ve also got a hand lettering practice sheet to go with it so you can create your own hand lettered prints. 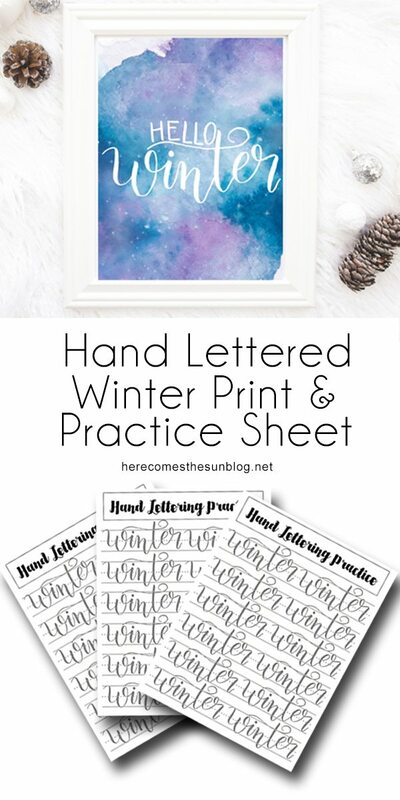 And make sure to scroll all the way down because I’m sharing seven more winter themed hand lettering projects from some amazing bloggers. I am so in love with the blue and purple watercolor background of this print. Doesn’t it remind you of frosty winter days and nights? 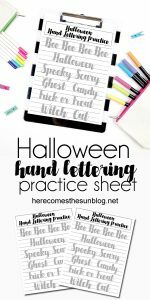 I’ve also created a practice sheet so you can replicate the lettering in the print. 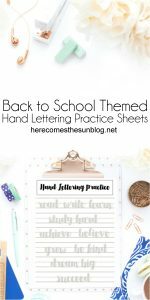 I’m excited to be teaming up with some amazing bloggers today to share more winter themed hand lettered designs and practice sheets. Check them all out below. And if you need to find me for the rest of the season, I’ll be under that blanket with my coffee. I do love that background too! I have got to learn how to do this. I recently invested in an iPad and iPencil now I just need to take some time to learn about the resources to make it happen!